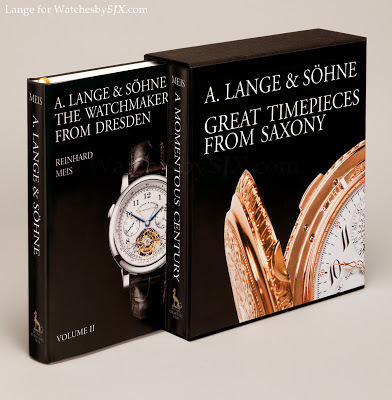 A. Lange & Söhne – Great Timepieces from Saxony by Reinhard Meis was updated and expanded last year. From the original single volume it is now two books with 916 pages and over 2700 photos. 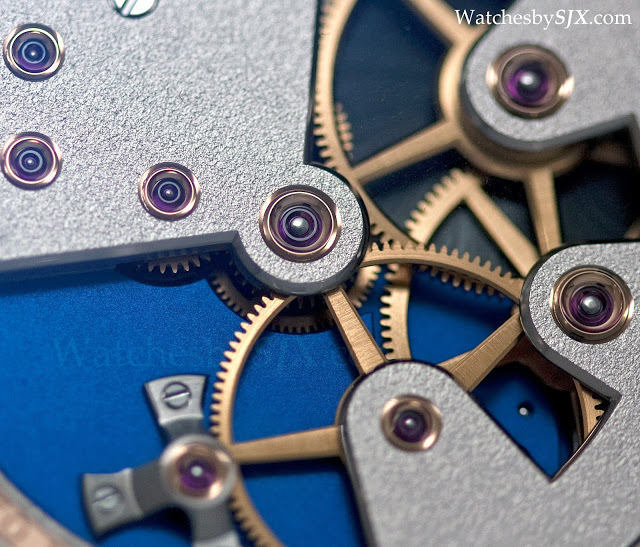 The original was published just after the revival of Lange in 1994 so it was lacking recent information. Originally available only in German, the set is now in English and Italian. Printed by Callwey Publishing House, the ISBN is 3-7667-1903-4. It is available for pre-order from Amazon. 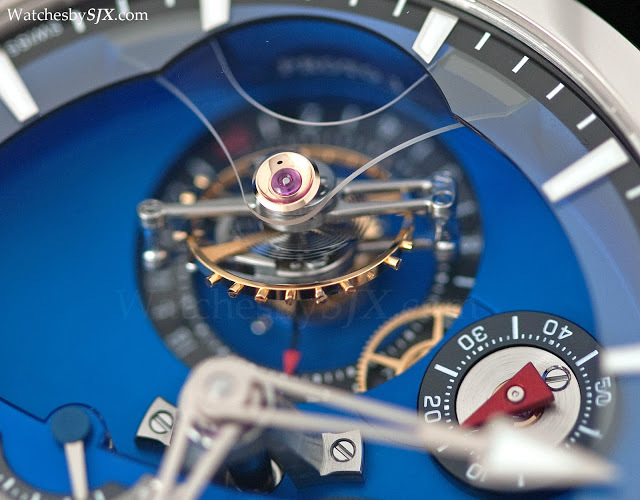 Greubel Forsey unveiled the stunning Tourbillon 24 Secondes Contemporain at SIHH 2012. Rather than a whole new movement, this is a variant of the Tourbillon 24 Secondes which has a single, inclined tourbillon cage that completes one revolution in a speedy 24 seconds. 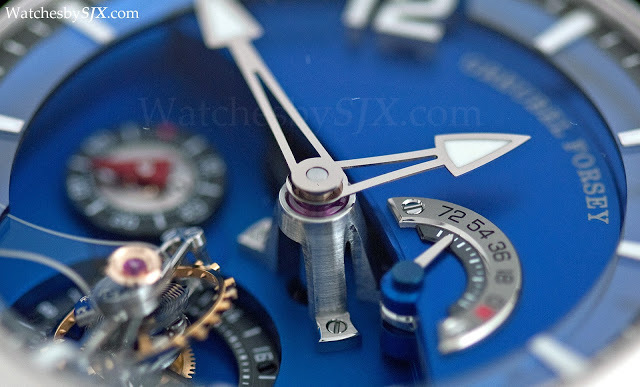 What sets this apart is the stunning, heat blued titanium dial. 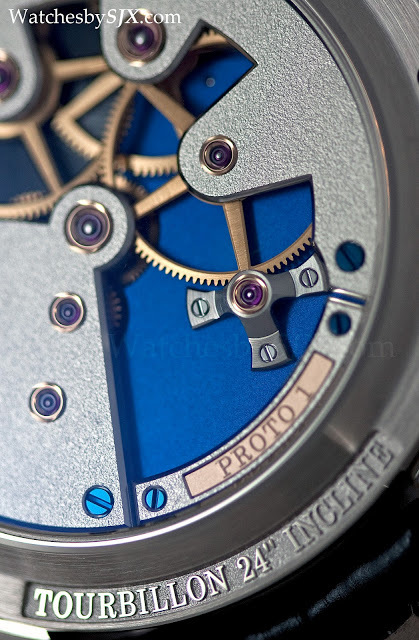 De Bethune pioneered the use of blued titanium for dials with its Dream Watch which had a concentric guilloche dial. 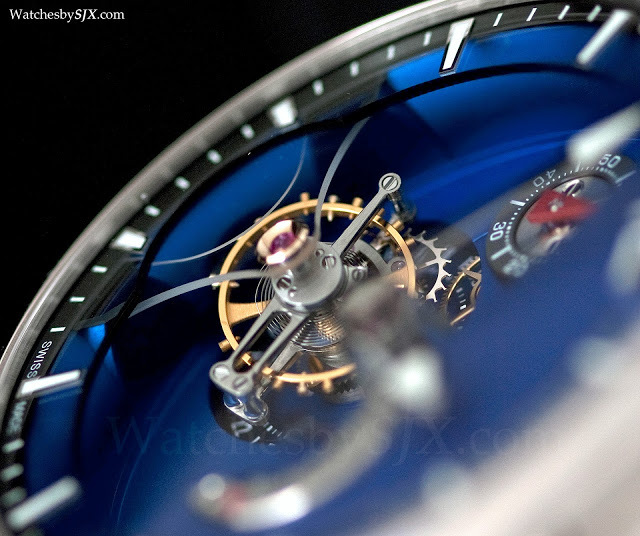 And more recently De Bethune used a highly polished, star-chart dial on the DB25T Dead Seconds Tourbillon. 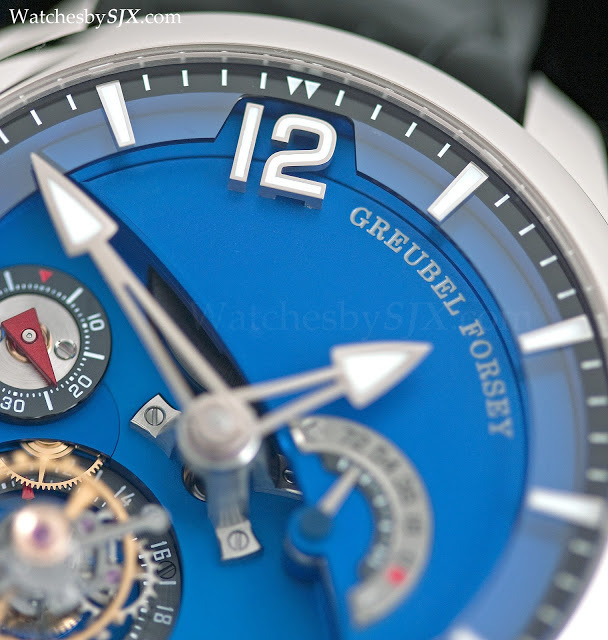 On the other hand, the Greubel Forsey T24S Contemporain has a more subtle, grained finish on the dial. Several details stand out. 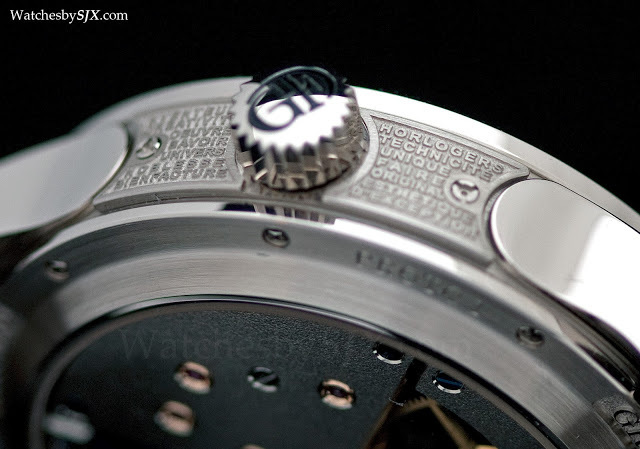 One is the thick, applied “12” numeral that anchors the dial. The other is the immense three-legged bridge that holds the hands. 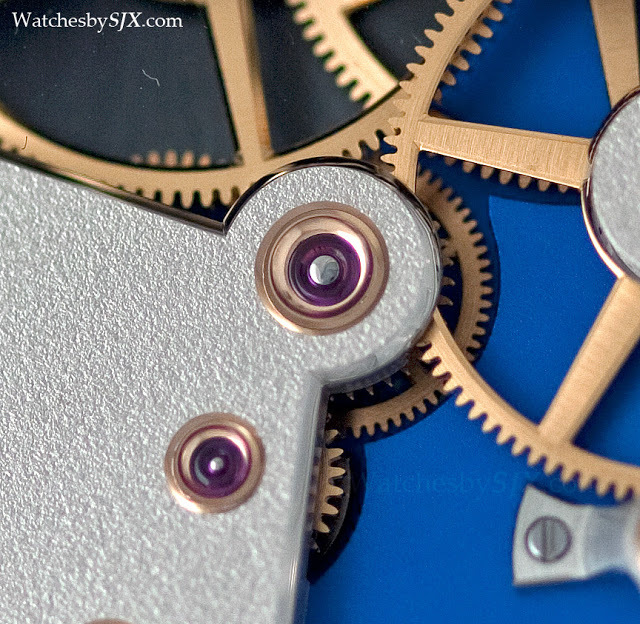 And notice the clear sapphire that sits above the dial with the hour indices, matched with the clear V-shaped bridge for the inclined tourbillon. 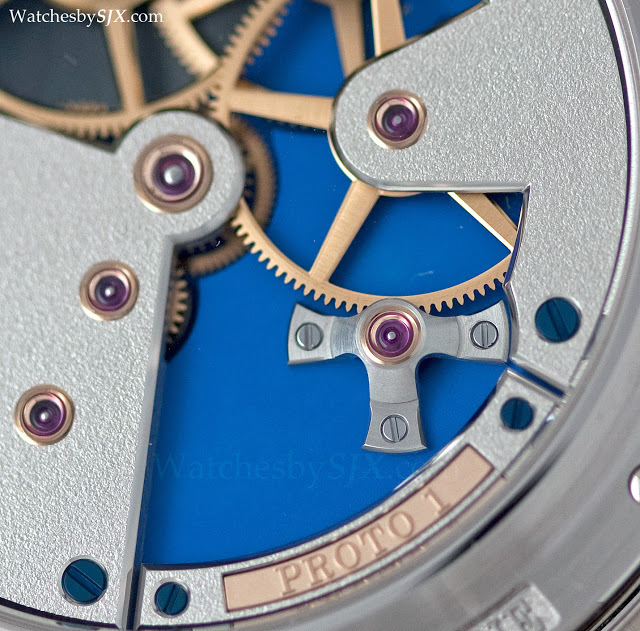 Over on the back blued titanium is also used for the base plate. 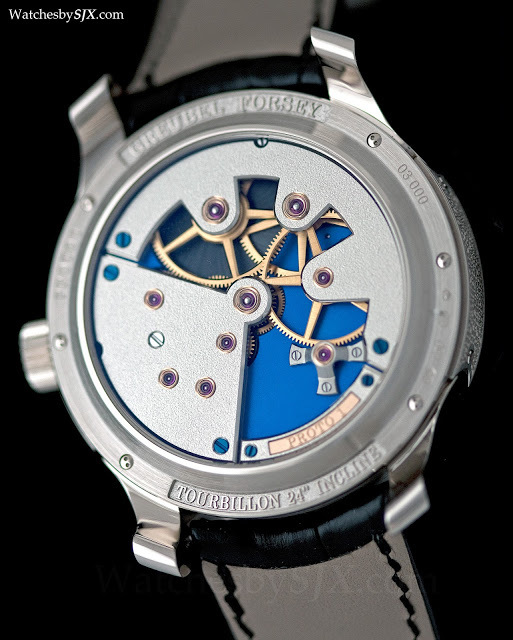 But the layout and design of the movement shows that Greubel Forsey knows watchmaking history, for the movement with its large wheels and angular bridge shapes is deeply reminiscent of 19th century pocket watches from Breguet and other greats. 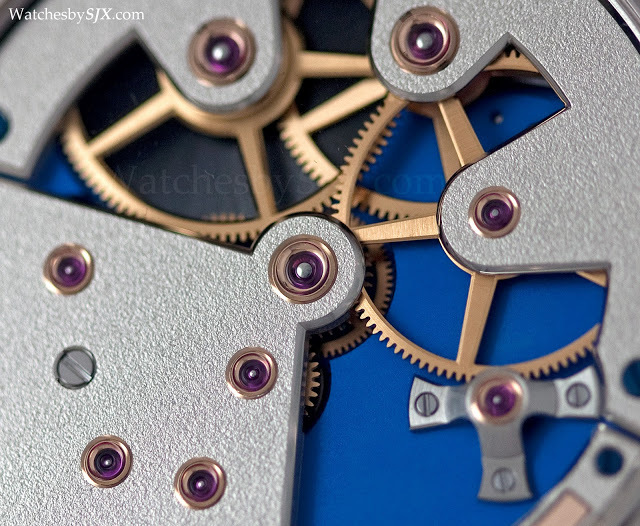 As with all Greubel Forsey watches, the movement finishing is spectacular. 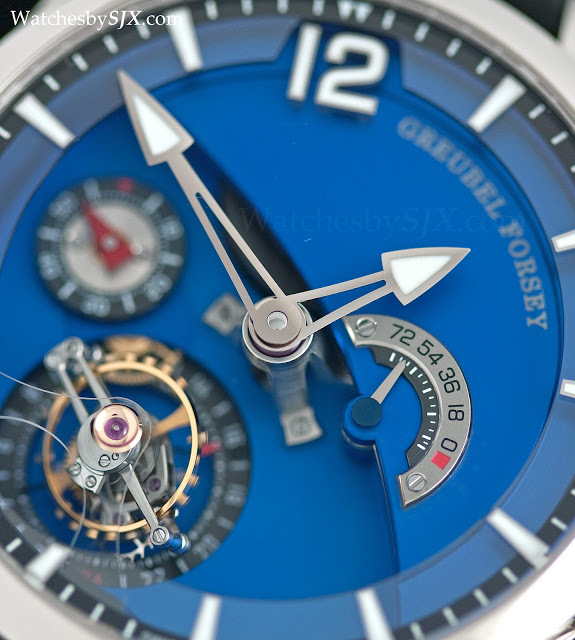 Unusually Greubel Forsey favours a frosted movement finish that is uncommon today. 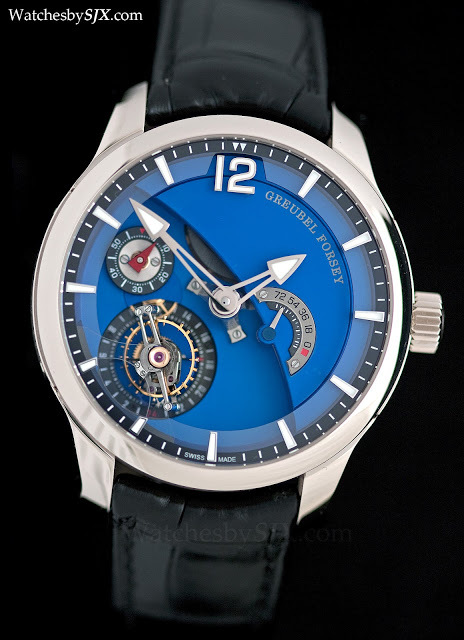 The case is platinum with tiny text in relief on the case band that is characteristic of Greubel Forsey. 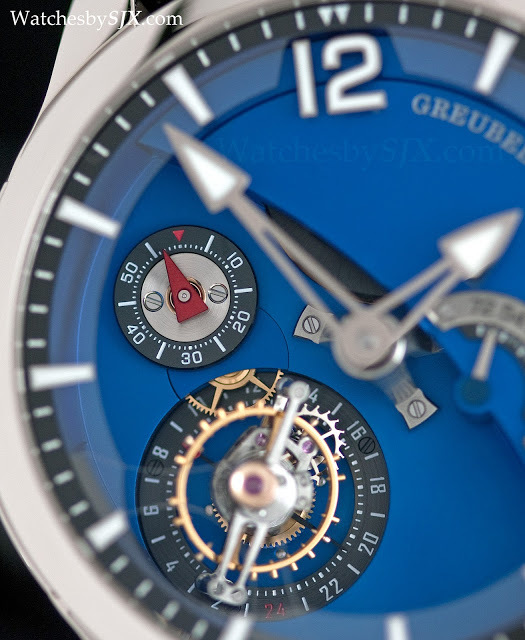 The Greubel Forsey Tourbillon 24 Secondes Contemporain is now available with a base plate and bridges in frosted titanium in its natural colour, giving it a restrained tone while retaining the characteristic Greubel Forsey details.